Ahead of their bout at Polaris 5, Canadian fighter and one part of the Danaher Death Squad, Oliver Taza, squared up against top UK prospect, Ross Nicholls. The fight was part of the the Tuff Invitational Kumite, where 8 fighters squared up to take home a £1000 prize. This was a fight with a lot of the line, as this match pretty much determined the winner of the Kumite, with Taza on 4 finishes and Nicholls on 3 finishes and 1 draw. 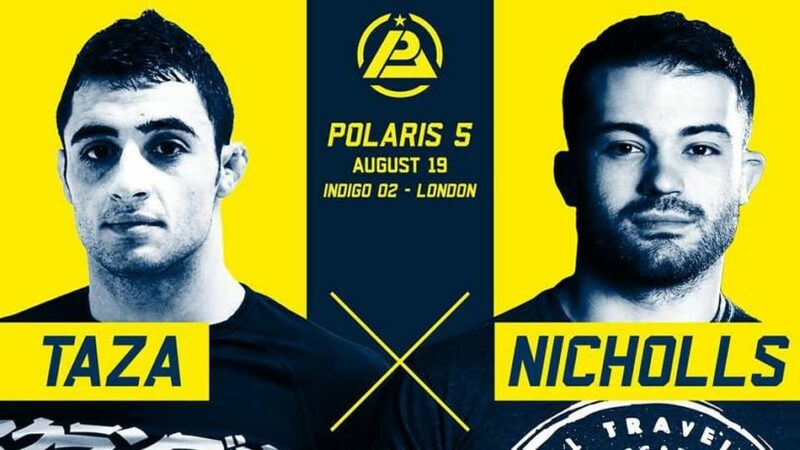 Watch Taza and Nicholls fight ahead of their Polaris 5 bout below.